Raorsi Rajguru Sri Rao Uttamsinghji, a great source of inspiration. 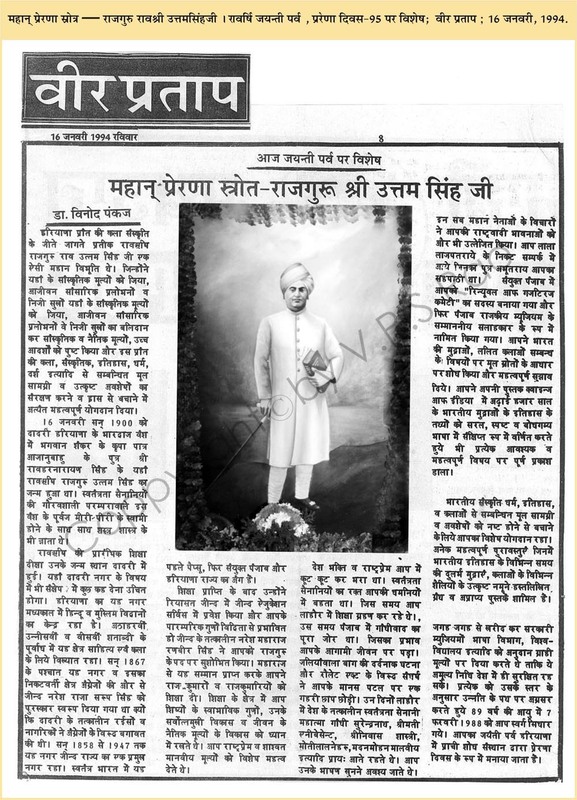 Special article on the Raorsi Jayanti Parv, Prerna Divas-95. ; the Vir Pratap ; January 16, 1994.